Just saw Gnomeo and Juliet, a very cute film that some of my friends worked on (so go see it! ), and the plastic pink flamingo reminded me of some of the beautiful birds and fish in Hawaii. 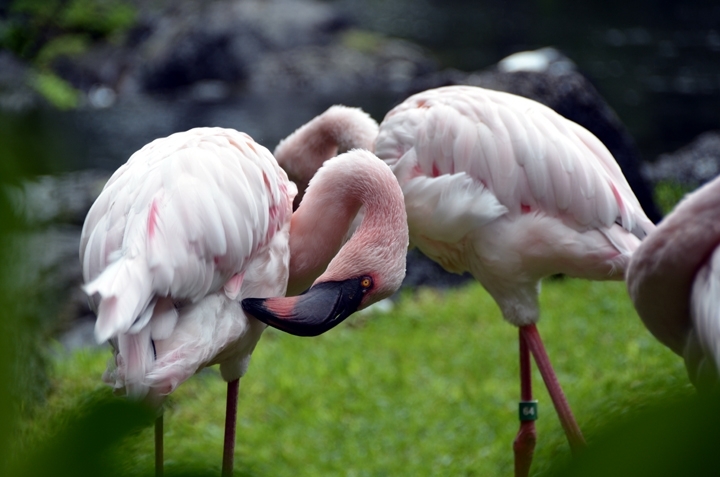 The flamingos were on our Oahu resort; we saw them 3 years ago and were just as smitten this time. They're so gorgeous! 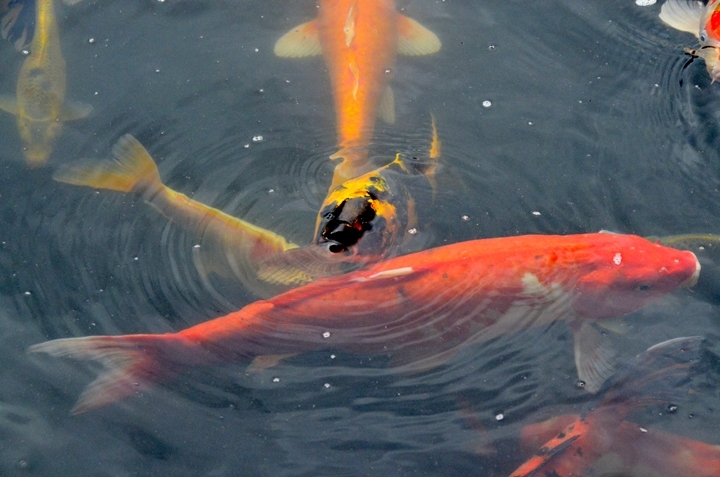 There was a huge koi pond at our resort on Kauai; they even had a morning feed time you could participate in. 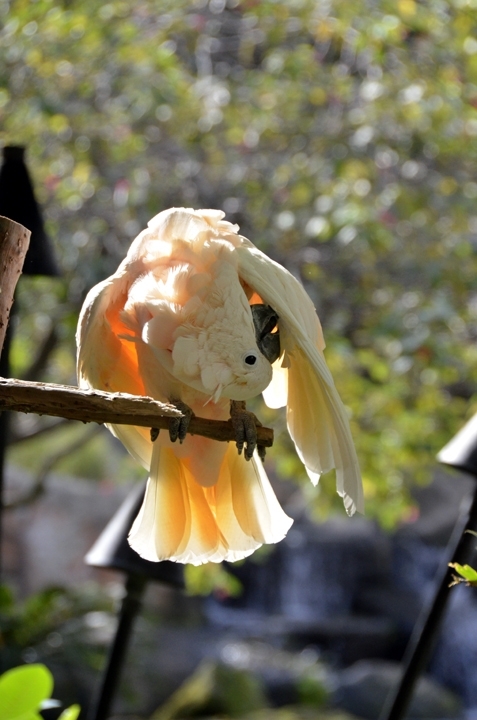 The adorable parrot was also on Kauai; he loved posing for photos!